Zhou Xun, China's Hangzhou-born leading actress who is on the Forbes list of "powerful Chinese celebrities", was interviewed by CNN's Talk Asia host Anjali Rao in Shanghai for the premiere of her new movie Confucius in Hong Kong. The 35-year-old "Star of the Year", selected by Cine Asia, is in two much-awaited movies this year – a biopic on philosopher Confucius and Yuen Woo Ping’s action flick True Legend. Zhou was brought into the spotlight with her roles in Suzhou River, Perhaps Love and The Banquet. 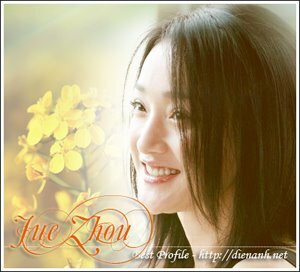 Zhou's ability to pull off various roles makes her a favorite with Chinese directors and won her the reputation of "Angel in the World" among the audience, but she has never had professional acting training. "I was born in a very small town in Hangzhou. I used to play in the only cinema in our town where my father worked, but movies still seemed far from me. I never expected to become an actress until I was spotted by a director at a dance academy where I enrolled." Acting for 18 years, the smart veteran has never been bothered by the Chinese government's infamous censorship of the film industry. In her eyes, "being an actress in China is actually no different from being an actress elsewhere. It all comes down to being a good person, and acting responsibly". Zhou is not only a successful actress, but also an enthusiastic public servant. Last year she was appointed by the United Nations as its first Chinese goodwill ambassador with a special focus on the environment. "The environment has become a global issue. The Chinese government is sparing no effort to change environmental conditions in China," said Zhou. All actors and actresses in the world are troubled by paparazzis. Zhou is no exception, but she can't do anything about it. Anyway, "I try not to let it bother me too much," she said.